Once again, it looks like my trusty Gigabyte Touchnote, my Canon S2IS and my N82 will form the hub of my mobile computing gear at Computex this year. Despite great advances in technology, I’m the mobile-tech-blogger with the old kit and the reason is â€“ process. 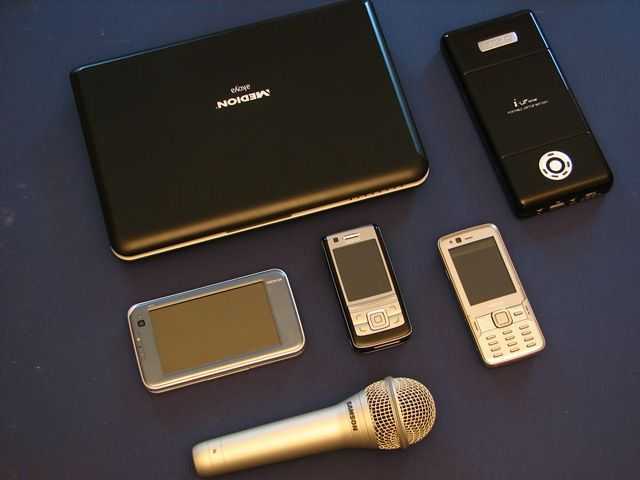 See previous editions of my mobile reporting kit here. I’ve been using these devices successfully as one process unit for so long that if I replace any of them I’ll break a delicate chain. If I change the camera I can’t hook it up to the the netbook and use the remote capture facility that allows me to drag images on-screen into Livewriter in live-blogging situations. I also won’t be able to record in the simple but high-quality MJPEG format that works with Movie Maker out of the box and allows me to edit without issues on my netbook. If I upgrade the netbook I’ll be using Windows 7 which doesn’t have Movie Maker and will probably be slower than my XP build. FInding a netbook with touch, a fast SSD and good 3G isn’t easy or cheap either. If I change the phone, I’ll be left with something that doesn’t have a Xenon flash, good low-light capability and free navigation without the need for an internet connection. As for the MiFi, well, it’s the MiFi and it’s worth taking everywhere! Of course, there’s a lot of other bits and pieces that go in the kit bag. 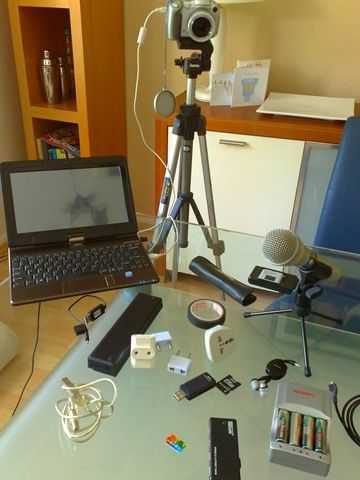 Tripod, cables, chargers, USB Mic, toolkit, spare battery etc etc etc. Necessary evils! I am also thinking about two other bits of kit. The UMID BZ, a device I’ve been getting great use out of in the last 4 months. That could serve as a backup PC, pocket PC and bedside PC. I can get away without it though. The other device, and one I’m more likely to take is the Xperia X10. That will serve as a MID, backup camera, phone and comms device and I might use it for quick videos that are in the correct format to be able to instantly send to YouTube. It might become my primary phone too because I really only need the N82 for quick images and navigation. For 3G, I’ll be using the same service as last year. 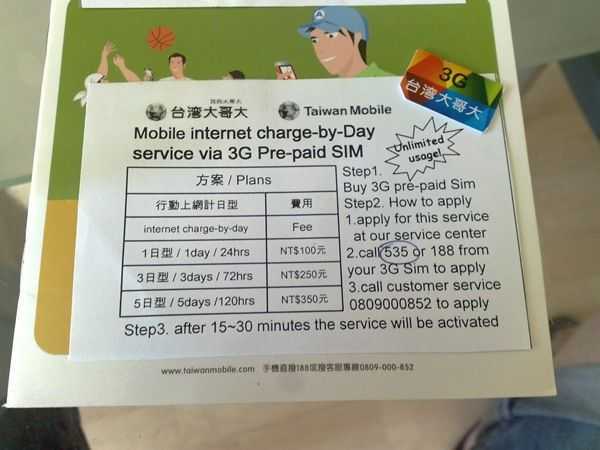 I picked up a local Taiwan Mobile 3G SIM at the airport. It was cheap and worked well. I doubt it’s still active so i’ll probably have to sign up again. It’s a relatively old set of kit now and at some point in the next year I’ll be looking to upgrade. Battery life on my netbook needs to be improved (I only get about 8 hours total from the two batteries I have) and low-light capability on my main camera needs improving too. As for the mobile phone, I have a feeling that I’ll forever be carrying two devices. One MID-focused, the other a backup device. If you’re going to Computex, i’d love to hear and write about your kit list. Let me know below (or in a blog post) and I’ll round up the information in a post here on UMPCPortal. With less than one day left before I leave for CES 2010, it’s time to make sure I have all the right equipment and to give you a run-down on how to follow the MIDMoves, UMPCPortal and Carrypad news from the event but first I need to say ‘thanks’ to the team at Intel that are bringing me over to CES as part of my ‘Intel Insider’ status. Not only do I get to go over as a guest, I get involved in some interesting stuff both in front and behind the scenes too. I can’t give any details at the moment but there will be at least a few great opportunities to bring you some exciting news. While I’m out there I’ll also be working very closely with Sascha and JKK, my partners on Meet:Mobility. I love putting the kit together for events like this. There’s always a chance to optimise the kit, to include new software and use better techniques in order to bring you better, faster and more detailed coverage. Interestingly though, my hardware doesn’t change much at all since the last event. 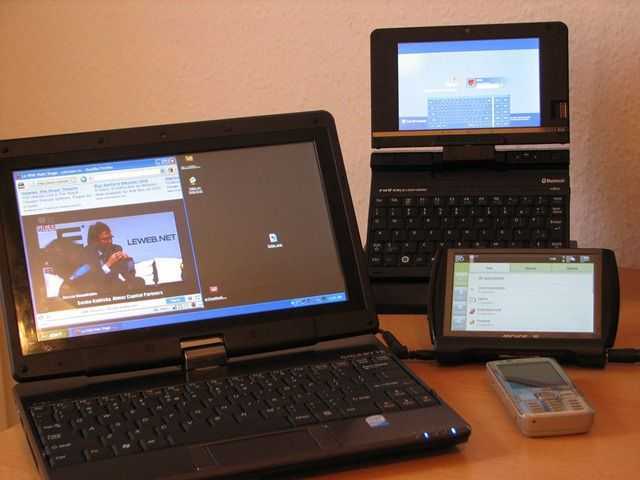 I’ll be using three main computing devices. I’ve searched high and low for something better than the N82 to use as a phone-cam and PIM but every single cameraphone I’ve tried in the last year has disappointed me. The Xenon flash and sizing is unbeatable on the N82. The reliability and the fact that I’m very familiar with the software makes it difficult to change up to. I’m also a big fan of Ovi Maps as a pedestrian navigation system. Coupled with the high quality GPS, pre-loaded maps and web-based planning tool, it’s been unbeatable for me. Much the same applies to the Gigabyte T1028M netbook that I use. It’s been upgraded with 3G and a Runcore SSD and has been working perfectly for 8 months. I’m efficient with the touch screen, I have all the software and data I need on the device and with the additional extended battery, I’ve got a good 7hours working time with the device. I doubt I’ll ever be able to find an upgrade within the netbook category although I’m looking closely at the T101H, S10 and after today’s news, the Lennovo S10-3t as possibilities. As for the U820, well once again it’s a case of being truly at one with the device now. I’ve been using it for about 10 months and find it to be my favorite two-handed productivity device. It’s got that Runcore SSD upgrade too which, when combined with the Atom 1.6Ghz CPU and the clean Windows XP install makes it fly. Standard and extended batteries give it a total of about 7-9hrs active use and the docking station means it can be used as a desktop PC given a USB keyboard/mouse and external monitor. As always, I’ll be using a range of internet channels to publish my work but everything from Flickr to Youtube and Twitter will end up on of my three websites. MIDMoves for the Intel-related activities I’m getting involved with at CES. This includes sneak peeks and reports from events and private meetings. UMPCPortal for pro-mobility news picked up by myself and the editors. 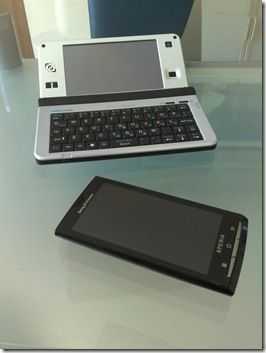 Carrypad for consumer-related mobile computing news. Large format smartphones and consumer tablets, smartbooks etc. Again, a lot of this news will be coming from the UMPCPortal and Carrypad team. On both UMPCPortal and MIDMoves you’ll find a column of information coming in near real-time from Flickr, Twitter, YouTube and other sources. Check back regularly to get information on my movements and things going on behind the scenes. MeetMobility will also be at CES. MeetMobility is the podcast I do with Sascha (Netbooknews) and JKK (JKKMobile) and i’m excited to be involved with our first live podcast! And now it’s time to get back to the packingâ€¦. Only 24hrs to go now before I set off so it’s time to put the kit list together. 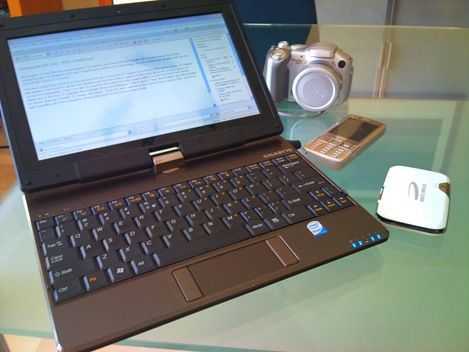 For the blogging and media creation (including video editing) it’s going to be the Gigabyte Touchnote T1028M convertible touchscreen model running Windows XP. I’ve also got a spare battery for a total of 8 hours working time. Getting ready for a conference or trade show always get me excited. There’s the thought of the new gadgets, the discussions, meeting with contacts (I’ll be catching up with the MeetMobility and NetbookNews teams while I’m there; @jkkmobile, @sascha_p, @joannastern) and of course, the thrill of the pack. The scout in me never ceases to get excited about packing my gadget bag. Preparing for a conference or expo is important when it’s a core part of your job to report from the event so RELIABILITY AND FAMILIARITY are at the top of the list. It’s risky to introduce new items without having done a lot of testing and that’s why the Gigabyte Touchnote is my #1 laptop. Actually it’s a netbook but I’ve got and excellent 3G modem (retro-fitted by Mobilx.eu,) 64GB SSD (for speed and ruggedness,) touchscreen, Draft-N support, BT2.1 and an Expresscard slot which takes it way above the average netbook specifications. It’s been tested well and I recommend it. I usually partner it with the u2o power bank (tested here) which brings the total battery life up to around 5 hard-working hours. I do plan to pick up an extended battery for the Touchnote at some point though because I’d like to be at the 7-hours mark if possible. One huge advantage of the u2o power bank is that you can plug it inline with the Touchnote and both the power bank and Touchnote will charge overnight. No need to set a 3am wake-up call to swap out and charge a second battery! I’ll also be taking the Viliv S5 with me. Actually, there’s a hidden agenda with this one. Viliv have offered to swap out my S5 (which is actually a loaner) for the new 3G SSD version which I’m going to do long-term testing on. 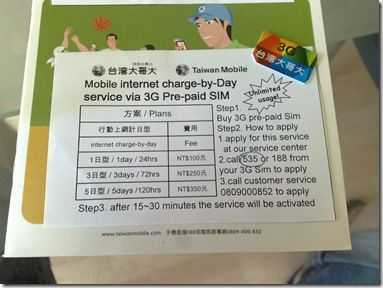 I’ll only have one 3G SIM card though so that will stay in the Touchnote. It’s at times like this you really need a Mifi 3G Wifi router! I’ll be using my trusty Canon S2 IS for photography and filming. It’s over three years old but it still taking good pics and videos. I know my way around the device well now so I’m really reluctant to upgrade despite the lack of external mic input, M-JPEG recording format and slow flash warm-up time. I’m also using the N82 for snapshot photography. 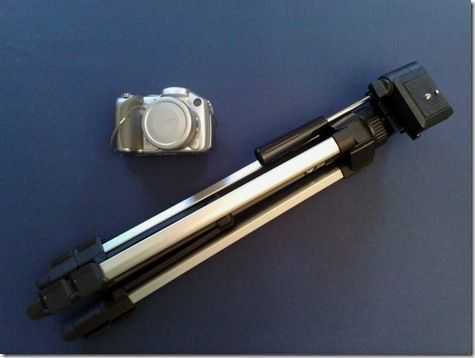 It’s quick, has the xenon flash (great for catching incriminating evidence at parties!) and has a built-in ‘post to flickr’ feature. The quality is more than good enough for the web. I’ll have my Samson USB mic for podcasts which gives great quality in noisy environments. Audacity is the software I use for recording. The Sennheiser headset goes too. 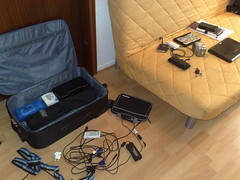 The blue box of tricks has spare batteries, connectors, SD cards, screwdriver set, tape and other bits and pieces in it. It usually stays in the hotel. So is there anything missing? Yes. I’d like to have a slider-style all-day battery life, all-day on, 3G-connected MID in my pocket. Microblogging is important to me and so is staying updates over twitter, rss feeds and web page updates. The S5 does a great job with web consumption but I want a real keyboard for the back-channel. A UMID Mbook M1 with 3G and two batteries would suit me fine but let us hope that we’ll see one or two more options rising to the surface at Computex this week. Follow @midmoves and @chippy on twitter (use this search page to view both) or simply view the home page on MIDMoves where the lifestream, blogs and flickr updates appear as soon as I post them. Life has been so busy over the last month that I’ve hardly had a chance to think about CeBIT and yet it starts in just 5 days. On Monday, I’ll be meeting JKK and Sacha in Hannover and we’re going to hit CeBIT as hard as we can. Fortunately the accommodation, tickets (I have a press pass again this year) and transport have all been arranged so all that remains to do is fix up the schedule, write up a hit-list and organise the kit. 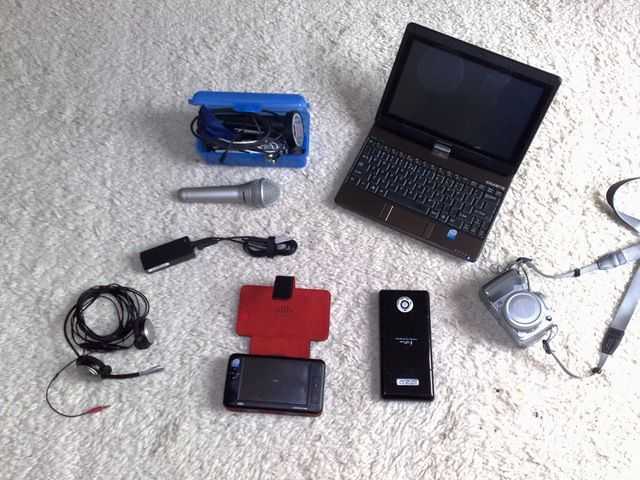 I’ll write about the ‘hit list’ in the next few days as we’ll probably use it for the basis of a warm-up podcast tentatively planned for Friday but let me quickly talk about the kit I’m going to use at CeBIT. Due to three ‘smoked’ UMPCs, a couple of no-show UMPCs and a general need to keep spending down this year, I’m having to really cobble together the best I can from the devices I have left here. I’m not exactly struggling to find a PC to take but I had planned a different set of devices and was planning to have a bit more of a ‘showcase’ setup. I will go with the three-device strategy (phone, mid, notebook) because of flexibility, fall-back and battery life. I’ll take my Nokia N82 for the important tasks of voice, SMS and email and it will also come in handy for some direct-to-flickr photo shooting due to it’s superb camera optics and flash. I might use it for a bit of Google Latitude fun and the occasional 3G Bluetooth modem but the idea is really to preserve it for essential comms. At the top end of the range i’ll be taking my laptop. Actually it’s a Medion Akoya Mini netbook but I don’t have anything else so it’s going to serve as my main keyboard and screen during the event. It’s far from the perfect mobile netbook though and I’ll have to deal with a lack of built-in 3G, no Bluetooth and a poor 2hr battery life. On the positive side, I’ve used it a lot and it’s got a stable build with all my applications running well. As the third device, I want to take a MID. The original plan was to use an Aigo P8888 but the standard 2hr battery life and lack of standard XP build has put me off buying one. I’m not a JKK and so hacking XPe and piggyback batteries was never on the cards. The Viliv S5 didn’t hit the market on time. The Wibrain i1 prototype doesn’t standby or hibernate due to an incomplete BIOS setup and I’ve killed the Raon Everun Note I was preparing. As I look across my devices for a MID, the only one I can see is the Nokia N810, a device that I had ignored for the best part of a year but started using again recently when I upgraded the OS and installed a bunch of community applications on it. As an RSS, mobile website, IM and twitter tool, it’s working out quite well. Web browsing is frustratingly slow but certainly better than my S60 device and with 4 hours wifi-on battery life, it can sit and pick up feeds and tweets for a long time before the battery needs changing so today I bought a second battery and a USB charger cable for it, fished out an old Nokia 3G phone with a broken backlight and will tether the two up on a 2.50-Euro per day pay-as-you-go UMTS contract, drop the phone in my bag or on my belt and put the N810 in my pocket as and use it as as always-on ‘informer’ and twitter tool. I’ll also be able to put comments on photo’s at Flickr and post to the blog using the Flickr blog posting tools as Jenn did at CES. 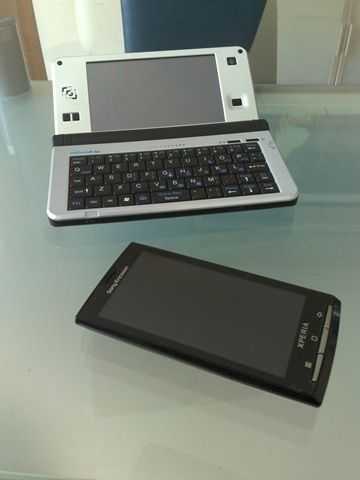 The N810 needs a lot more power to turn it into a real MID but the size, battery life, screen and keyboard should help to keep me updated on the go and certainly won’t need much space. One thing I’m really happy about is that I’ll only need one power brick for all the kit and the reason for that is a nice little U2o power pack I’ve got from Ultimate-Netbook.co.uk. I did some field testing for them last year and we’ve been happy with the results so they now sell it. Fortunately they let me keep it after the testing so I’m now armed with a 55wh power pack that takes a 19v input (the power brick from the Medion Akoya plugs straight in) and provides 5V (via USB), 9v, 16v and 19v outputs. There’s a selection of adaptors with the device so both my phone, the N810 and the Medion Akoya will run or charge from it. If I treat the Akoya well, I’ll get about 6hrs working time out of it which should be fine for a day’s work on the floor. For photo and video work I’ll be taking my trust Canon S2IS and tripod. The long lens, VGA video capability and great stereo mics are perfect for recording conferences or device overviews and although a DSLR with 720P video recording would be my preference, it won’t be hard to get some good results out of the S2. Besides, JKK has a new Canon HD cam so we’ll be using that for most of our videos. Finally, I’ll take the Samson USB mic which is great for mobile podcasting and interviews. Audacity is installed on the netbook and it’s an easy process to upload an MP3 to UMPCPortal. Of course, if I have any issues, I won’t need to look too far for help. Sascha the ‘netbook king’ is joining us in the accommodation and on the floor and he’ll be bringing a stack of netbooks so I’ll probably get some good hands-on opportunities with some of the netbooks I haven’t had a chance to use yet. JKK is with us too and he has a good set of kit too so between us, well have no excuses. As JKK, Sascha and I prepare over the next few days you’ll probably here a few more warm-up stories. We’ve tentatively planned a podcast for Friday evening so expect a CeBIT warm-up post over the weekend.